While Poland is fast becoming a typical European country there are still certain traditions and laws which the foreign visitor should be aware of. Poland has a temperate climate with hot summers and cold winters. Seasons tend to be more pronounced than in the west and temperatures can get down as low as -20 C in winter and as high as +30 C in summer. The coldest weather tends to hit around February although the long winter of 2009/10 saw a record low temperature in Poland of -32 degrees. Below is a graphic showing average temperatures and rainfall. If you are travelling within the EU those over 18 can now take 10 litres of spirits, 90 litres of wine and 110 litres of beer. Most countries will not allow more than 800 cigarettes from Poland. If purchasing art or books, you need to consider their age and value. In order to leave the country, art must be both less than 50 years old and under a certain value (varies depending by type; photos <6,000zł, other art <16,000zł, for example); if these conditions are met, the gallery curator can then provide you with a 'zaświadczenie' (permission document) describing the artwork's price and when and where it was created. If the work exceeds the permitted age or value, you must get permission from the 'Wojewódzki Konserwator Zabytków' (Regional Curator's Office) to take it out of Poland; bear in mind that this process will likely take 2-3 months. Books must be less than 100 years old and under 6,000zł in value in order to leave the country; if neither applies, permission must be obtained from the National Library. Obviously, problems arise when purchases are made at bazaars or flea markets where vendors cannot provide the necessary documents; if there is any doubt about the value or age of your purchase, we suggest you visit an 'Antykwariat' (antiques dealer – see shopping) for advice. Electricity in Poland is 230V, 50Hz AC. Plug sockets are round with two round-pin sockets. Therefore if you are coming from the UK or Ireland you are definitely going to need a plug convertor. The best place to pick these up is at home as our residents Brits will testify although if you do arrive without a covertor you can try your hotel concierge or reception. If they don't have one the best place to pick one up is at one of the big electrical outlets often situated on the edge of town. Our advice is save yourself the hassle and get one in the airport as you leave. Poland covers an area of 312,685 square kilometers and is the ninth biggest country in Europe. It borders the Baltic Sea and seven countries, namely the Baltic Sea (528km), Belarus (416km), Czech Republic (790km), Germany (467km), Lithuania (103km), the Russian exclave of Kaliningrad (210km),Slovakia (539km) and, Ukraine (529km). The river Vistula (Wisła) is Poland's longest river at 1,047km and flows through Kraków and Warsaw before reaching the Bay of Gdańsk (Zatoka Gdańska). Gdańsk sits on the Motława river which reaches the Baltic via the Martwa Wisła. The highest peak in the country is Rysy (2,499m above sea level) which can be found in the Tatry mountains in the south of the country. Poland is in the Central European (CET) time zone (GMT+1hr). When it’s 12:00 in Warsaw it’s 11:00 in London, 12:00 in Paris and Berlin and 19:00 in Tokyo. 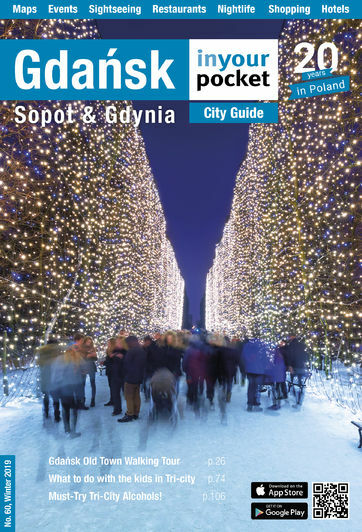 Polish summer time (GMT+2hrs) starts and ends on the last Sundays of March and October. In case of an emergency those dialling from a land line or public payphone should use the following numbers: 999 for an ambulance, 998 for the fire brigade and 997 for the police. Mobile phone users should call 112 to be forwarded to the relevant department. English speaking assistance is not necessarily guaranteed, and rests on the linguistic capabilities of the call operator. English, German and Russian speakers have the option of using separate lines specifically designed for foreigners in distress: dial +48 608 599 999 or + 48 22 278 77 77. Both numbers can be reached from a mobile phone or a land line and are hotlines in case you run into any troubles during your stay. The lines are active year round with later hours during the high-tourist season. Further help can be provided by embassies and consulates, of which a comprehensive list can be found in the directory section. If you’ve run out of money, however, then silly you. No embassy will bail you out, and and your hopes will rest on a Western Union money transfer. Most banks and many exchange bureaus (kantors) can now carry out such transactions, just keep an eye out for anywhere displaying the Western Union logo. For a list of clinics and hospitals check the directory section at the back of this guide. In general Gdynia is a safe city. Petty crime does exist, and travellers should be on guard against pickpockets. If you’re out keep your wallet inside your pocket, not inside a jacket casually lying around. Those travelling by car are advised to use a guarded car park. Avoid being ripped off by opportunistic taxi gits by using clearly marked cabs. Staying on the right side of the law is significantly easier for tourists who accept that Polish beer and vodka are rocket fuel and drink accordingly. If you’re determined to make an idiot of yourself then make sure it’s not in front of the law. Those who do may well end up visiting the local police station where they will be held while they sober up. The other well-known ways tourists can cross cops is by jaywalking. You'll undoubtedly be surprised to see a crowd of people standing obediently at a crossing; this peculiarity has extra effect if you are aware of how little Poles respect the rules of the road in a vehicle. Local police will quite freely give you a 100zł fine for crossing at a place where no crossing is marked or when the light is red. And don’t think you are exempt by being a visitor; In fact your non-residency means you will need to pay the fine on the spot (the helpful chaps will even accept foreign currency). Prices in Poland are still fairly competitive despite increases over the last couple of years particularly in the prices of cigarettes. Here are some typical everyday products and prices. Thinking of paying for your tram ticket with one of the 100zł notes in your pocket? Think again. Small shops, newsagents, public toilets, even the occasional fast food franchise and bar, will refuse to break a large note for you. As annoying as coins can be, do carry small change for such moments. Notes come in denominations of 500, 200, 100, 50, 20 and 10 złotys, and there are 1, 2 and 5 złoty coins. One złoty equals 100 groszy which come in 1, 2, 5, 10, 20 and 50 groszy coins. Currency can be exchanged at airports, hotels, banks and anywhere with a sign proclaiming it to be a Kantor and you will also be able to withdraw currency at a bankomat using your ATM card. A Kantor will often provide better value than the banks in your home country or the ATM although for obvious reasons be very wary of Kantors in the airports, bus stations and close to tourist sights. Shopping around will reward you with the best rate. Prices for food, drink, cultural venues and transport still remain comparatively cheap in contrast to Western Europe. A ticket to the theatre or cinema will rarely cost more than 20zł while admission to most museums costs around 5-10zł. If you’re visiting Poland and plan to pay for any purchases with a credit card whose base currency isn’t Polish zloty (and unless you’re Polish, this probably means you) odds are you may find merchants asking whether you want to be charged in your home currency or zlotys. At times (though this is more rare) it’s not even a question – the merchant will simply take it upon himself to charge your credit card in your home currency, no questions asked. Don’t fall into the trap of thinking your credit card company won’t charge a foreign transaction fee if you opt to be charged in your native currency; crossing the border is what they care about, not the currency. And that’s just one of the reasons why, when given the choice, it’s in the best interest of your wallet to choose zlotys. Why? Because the companies that process credit card transactions typically tack on fees for converting the money, and then do so at a lousy exchange rate. Depending on the size and number of your purchases while in Poland, the cost can really add up. Visitors will have to be vigilant and monitor receipts when paying with a credit card, and should you be charged in a different currency put your foot down. Merchants don’t benefit from those additional fees, only the company that processes the transaction does. So be firm about asking to have your purchase refunded and done over again in zlotys. Poland has a series of public holidays spread throughout the year. These for the most part will fall on a precise date meaning you could find yourself here in the middle of an otherwise busy week to find the city bolted shut. While more restaurants and bars have appreciated the opportunities of staying open when the rest of the country is taking a free day, do not expect very much open on important religious holidays such as All Saints' Day (November 1) or Easter Sunday. Generally speaking, toilets in Poland come marked with a circle for women, and a triangle for men. Although the habit is gradually dying some restaurants and bars still charge a nominal fee for use of their facilities – no matter how much cash you’ve already spent in the establishment. This is a practice also used in train stations and most public conveniences. Keep small change handy. What you will also notice is that toilets in bars particularly are often both dirty and extremely short in supply. There does not appear to be any rules about the number of toilets a venue is required to have resulting in long queues. A venue holding up to a couple of hundred people will quite often have just the one unisex toilet in the corner. Go out prepared by taking tissues and a large bladder capacity. For over one thousand years has been a bulwark of Catholicism, fighting against the horrors of pagan invasions and looking to Catholicism for a sense of social and national unity. When Poland was partitioned in the 19th century, many turned to the church for solace and during the communist era, underground resistance meetings were surreptitiously held in churches. The deceased Polish-born Pope John Paul II remains a genuine source of pride for all Poles, and is beloved in a way more profound than cynics in the West can understand. Many Poles genuinely believe that John Paul II single-handedly started the overthrow of Communism in Central and Eastern Europe. Small wonder then, that your average Pole takes Catholicism very seriously. Those used to the more easy-going habits of the West may find the Polish enthusiasm a bit unnerving at first, particularly the solemn and opulent processions that occur from time to time and the droves that flock to mass. Water in Poland is officially safe to drink although the quality of plumbing in many places can affect the quality of the water that is delivered from your tap. We therefore recommend that you use bottled water which is widely available and inexpensive. The best known bottled local brands are Żywiec, Cisowianka, Kropla Beskidu and Nałęczowianka. In restaurants many tourists are surprised to find a glass of water is not compulsory, and ordering some typically results in the receipt of a tiny glass bottle that will barely wet your whistle. Beer is often a better bet since it's cheaper and arrives in larger quantities, but if you're set on having water it's best to learn the difference between gazowana (carbonated water) and niegazowana (still water).